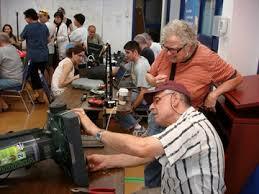 The Repair Cafe is Coming Back to TwispWorks! Have you got a busted blender? Or a vacuum that’s lost it’s va-voom? Save those items from the landfill by bringing them to the TwispWorks campus on Saturday March 16th. Local experts will be on hand to fix your stuff!